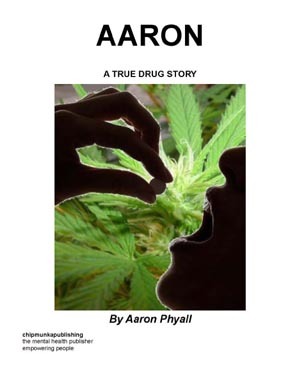 This story is about Aaron’s adventures as a cannabis dealer as a young man and the progression through his life after realising the errors of his ways. Aaron spends years travelling the world, and finally ends up in a psychiatric ward diagnosed with schizophrenia. The latter part of Aaron’s story is about his experiences and thoughts while under section in hospital and his attempts to get free, recover and return to work as a Gemmologist. 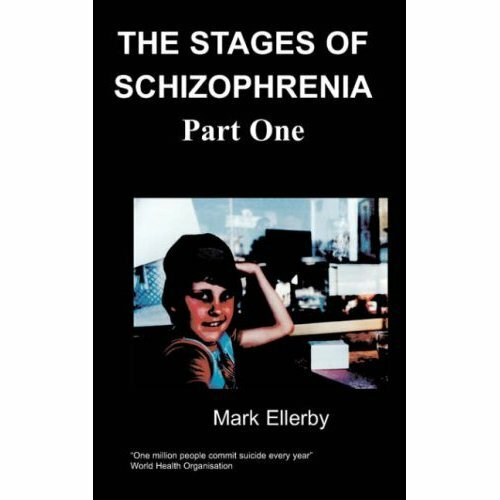 Aaron ends the book with a fascinating chapter reflecting on his present thoughts drawn from experiences throughout his life, the NHS, doctors, neuroleptic and recreational drugs. Aaron is 37 and now spends his time travelling the world looking for gem stones. In his early years he trained and worked as a stone mason but eventually got caught up in a world of recreational drug taking and trafficking. According to some doctors he started to experience depression, mild hallucinations and paranoid thoughts in his early 30’s which led to schizophrenia. He has also suffered from toxic shock from different types of forced neuroleptic medications. Aaron was sectioned under the Mental Health Act in 2004 and won a tribunal hearing to get free from a psychiatric ward. Since and during his psychotic episodes Aaron has gained knowledge on the way mental health has affected his life, he begun to see his own ways to reinforce his mental state and that of others. By writing this book he hopes it will stand as a warning to others not to adopt the same path he took in his early days and to give his views of the world we live in as he sees it and through his own eyes. St.Georges C Of E School, Gravesend 1988. It was July and the last day of the summer term, I was in the sixth form, and in the sixth form community area of the school. Everyone was in good spirits and some of us were in fancy-dress, there was a little bit of alcohol flowing as we all celebrated the fact that this was the last day of our school life. I walked out towards the toilets and met Erick on my way. Erick was new to the school and he had moved from Scotland with his mum and her new boyfriend. He was a tall skinny guy with blonde hair and stubble, a bit like shaggy from Scooby Do, word had it he was a bit of a ‘reckoner‘. I’d seen him about in the past year but never really had too much to do with him as I tended to stay in with my close group of friends. Erick greeted me with a big red face, slitty eyes and a big smile. I would know now what he had been up to but back then I was naive and knew nothing about drugs; I thought he had been drinking. He proceeded to follow me into the toilets where he pulled out a packet of Rizla and a small brown substance he called cannabis. He took three Rizla papers and stuck them together, two side by side on the ends and the other one overlapping them in the middle. I remembered being fascinated by what he was doing but also very nervous at the thought of being caught. He then proceeded to empty cigarette tobacco into his hand and burn the small brown substance with a lighter. A puff of smoke puffed up and a strong spicy smell filled the air. Then he sprinkled the cannabis into the tobacco and mixed it about a bit. The mixture was then made into a cigar shape on one hand, a small piece of rizla card rolled up and put at one end. The Rizla papers were then placed on the other hand. He slapped his hands together and a couple of seconds later was presenting me with what he said was a ‘joint‘. I smoked it! I begun to feel all hot and the taste of the cannabis was so strong it wouldn’t leave my mouth. A few minutes later I was sick everywhere, that was one of the few times I actually smoked a joint, this experience really put me off smoking cannabis but it didn’t put me off importing and selling it. From this point, Erick would become my partner in crime for the next few years. I spent the rest of the summer buying ounces of cannabis and selling it.